The Sulphur Tuft mushroom is also known as the Clustered woodlover. 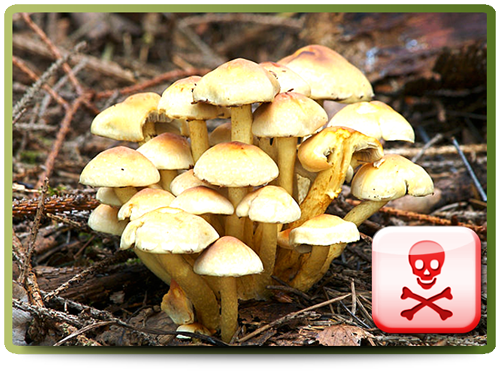 The cap is sulphur yellow, has an orange-brown center, white margin and can reach up to 6 centimeters in diameter. The gills are yellow and darken as the mushroom matures. The dark spores contribute to this change in colour. The spore print is purple brown. The stipe is light yellow in colour, orange-brown below and can grow up to 10 centimeters tall and 1 centimeters in diameter.